Kealan Varian, ISCG alumni and Commerce International graduate from UCD, recently completed a summer internship in Credit Sales @ J.P.Morgan in Canary Wharf, London. In this post, Kealan outlines his experiences and perspective on working within the London investment banking industry. 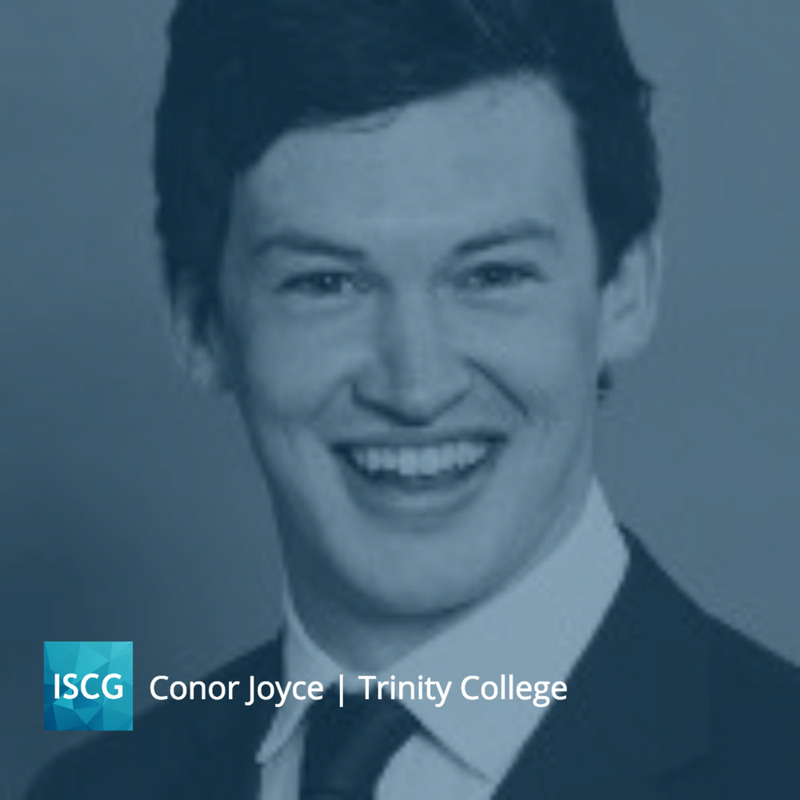 Rory Donnelly, UCD Commerce International graduate and former 'marketing geek' at ISCG shares some his insights about his experiences working with ISCG, how he's grown since joining the group and what he's been up to since graduating in 2016. Discussion of different perspectives on telecommuting in the modern world and the value of working remotely to young graduates/interns looking to expand their careers versus established senior professionals. What questions should students ask about internships? Is the salary the most important thing or should they worry most about experience? Tell us about yourself. Where did you go to college and what did you study? I am a Mayo man from Westport and ventured across to start in Trinity in 2012. I studied BESS, which gave me quite a broad course in first year. Luckily it also gave me a bit of time to ‘settle’ into Dublin in the early years. In third year, I was lucky enough to get a place to study on exchange in Babson College, Boston, for the academic year. Voted best entrepreneurial college in the world, Babson provided a welcome contrast to Trinity’s way of teaching. The different teaching methods and academic system in Babson, one of which was highly multicultural, was a fantastic and eye-opening experience. I returned for final year focusing my studies on Business and Economics finishing with a joint honours degree in 2016. What have you been doing since you left college and your time at ISCG? With the realisation that my last summer of freedom was upon me, I decided to use my summer months as an opportunity to travel, see some of the world and have a final bit of craic! I worked part time after finishing in May before flying into Panama City to travel all through Central America for two months. At the end of this month, I will start my graduate role with KPMG in restructuring. Did ISCG come up in any of your interviews? Definitely! ISCG applied to the majority of my competency based questions during interviews. Working for ISCG on a project with a small team builds so many key skills that employers are looking for. Interviewers always ask about ISCG as they're genuinely interested in what it is. Sometimes, being a member of certain groups seems to apply to every other TCD graduate going for your desired role. ISCG created a distinct difference. This led to employers being more interested in the ISCG. They were impressed by the goal to transform third level education by promoting more practical based learning. What’s the most beneficial thing you learned/experienced during your time with ISCG? Communication skills, working to a deadline and an ability to work as part of a team are crucial to all graduate roles. Personally, the ISCG project really enabled me to appreciate the importance of efficiency and goal setting within a team. Although a straightforward lesson, it was amazing to witness the importance of having a clear goal and target associated with every meeting. Sticking to a clear structure within an overall plan made it easier for all members to work together, increased motivation and cut out time wasting which can lead to frustration. WHAT SKILLS DID YOU USE WHILE WORKING ON ISCG PROJECTS? HAVE THESE COME USEFUL SINCE YOU STARTED YOUR CAREER? The ISCG project allowed our team to develop a wide array of skills applicable in a workplace. As project leader, I improved a lot of my organisational and communication skills that enabled us to coordinate our team's work towards our final deliverable. Project management is definitely a tool that will stand to me in the future. WOULD YOU RECOMMEND CURRENT STUDENTS SIGNING UP FOR ISCG, WHY WOULD YOU RECOMMEND IT? Without doubt! Co-Curricular activities in college allow you to broaden your skillset and social network across the college. ISCG provides these benefits while also giving you a practical insight into a career in consulting. One of the biggest mistakes in college is that one has a lack of time to take part in co-curricular activities. My advice would be to apply, time can always be found when you need to. ISCG will help you grow, give you the opportunity to work alongside an Irish company and broaden your professional network. It also gives you opportunities to improve your communication skills, a skill that will be vital across any discipline. HOW HAS ISCG BENEFITED YOU PROFESSIONALLY? ISCG has equipped me with memorable experiences in helping launch TCD’s first team and project. New experiences associated with interviewing and building a team will stand to me in the future. The group allowed me to meet a wide spectrum of like-minded students from different academic courses while also engaging directly with the CEO of a multi-national start-up on a weekly basis. WHAT DID YOU MOST ENJOY ABOUT WORKING WITH ISCG? Although at times it proved stressful and a difficult task, l, I enjoyed being in regular contact with the CEO of the company we were working with. Trying to contact her was a difficult task amongst the madness of her schedule. When I did, she generally gave me a snippet of what she had been up to and her upcoming schedule. I enjoyed the insights into the life of someone growing their company. Without having direct experience in consulting, I also enjoyed learning and coming to grips with different terms from the industry. I am about to start a three-year training contract in debt restructuring with KPMG and will sit my accounting exams during that time. Hopefully, the work and exams will reward me with a technical skill and an insight into the business world in Ireland. I have always had an inclination to travel so who knows where I will end up in the future! We hope you enjoy these posts highlighting our people, work, what we've been up to and general group updates. You can also follow us on our other social to see more of how we help re-energise Irish businesses below!